In 1800, Joseph, took out a patent for a “method of bending steel without the assistance of heat, which may me applied to the manufacturing of surgical instruments”. 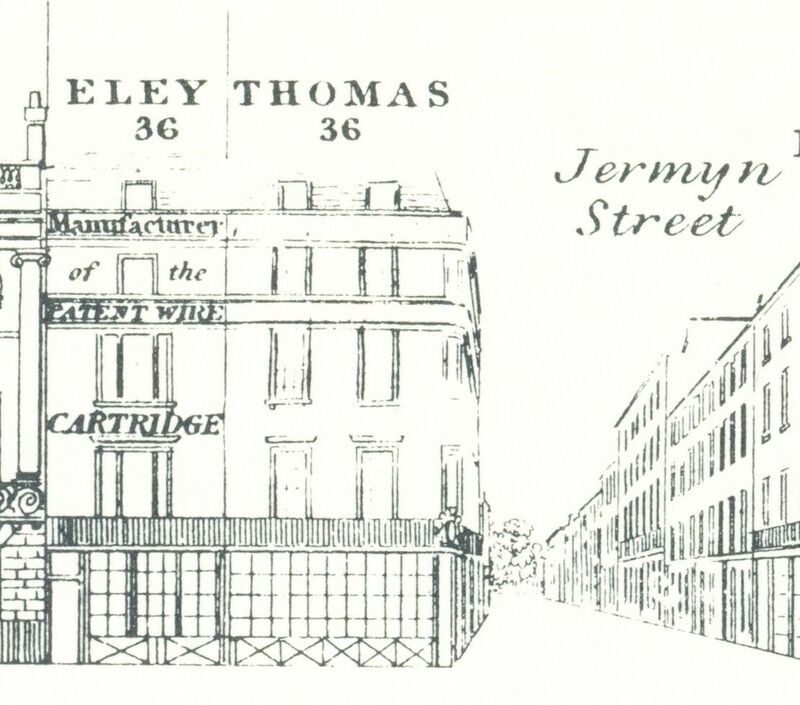 (3) In 1814, Joseph advertised a self-resisting and adjusting truss, invented by him and protected by a German patent, used in many hospitals, and made at his shop on the corner of Piccadilly, at the top of the Haymarket. Two years later, he still advertises them “with the high sanction and patronage” of even more hospitals. This time, he lists his address as No. 1 Piccadilly, near the Haymarket. (4) These trusses must have been a lucrative sideline, as Joseph’s main claim to fame comes from his guns. 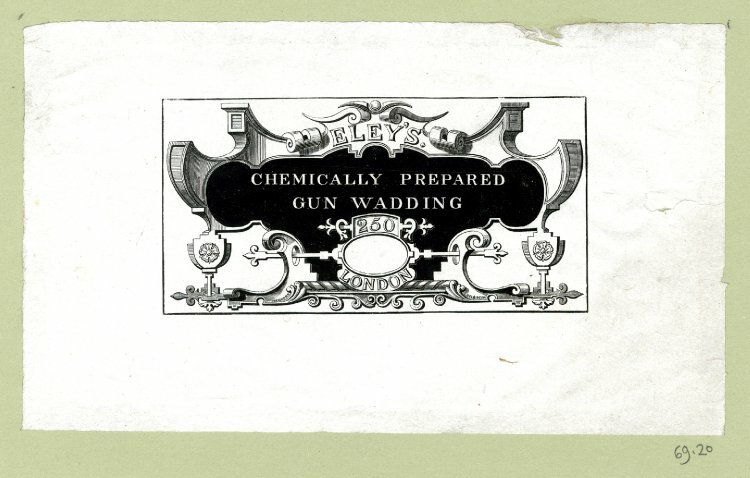 Several gun labels are still extant. Joseph married Ann Stephens in 1805 and they had four sons, Henry, Charles, George and Augustus. 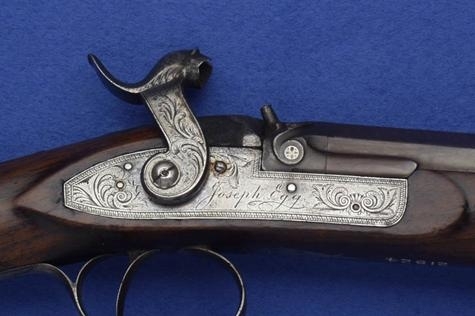 (7) I do not know what happened to George, but Augustus became an artist, and Henry and Charles followed their father’s footsteps in the gun-making business. 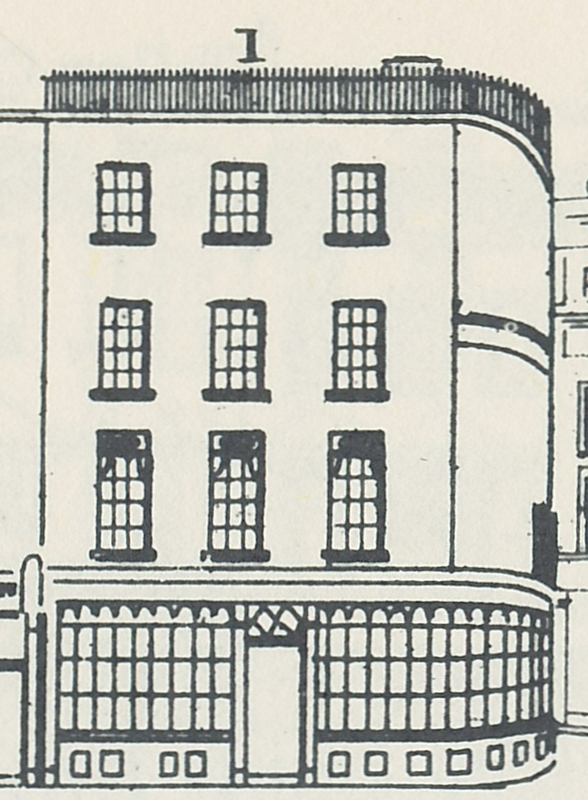 Somewhere around 1835, Joseph changed the name of the firm to Joseph Egg & Sons. 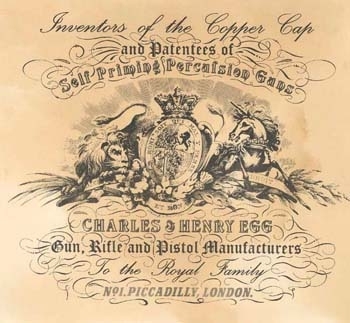 Henry and Charles continued the business from 1 Piccadilly after their father’s death(8), at some point changing the name to Charles & Henry Egg. Charles died in 1867, Henry in 1869 and the business was then continued by Henry’s son Henry William.(9). 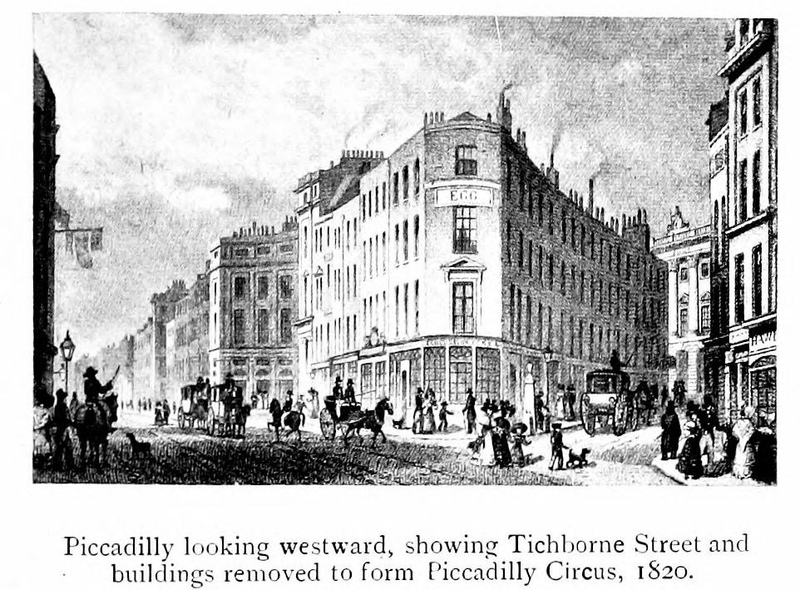 According to the census records, both Henry and Henry William continued to live at 1 Piccadilly. (1) Not in 1822 as I first thought. He was blinded in 1822, but died in 1831. Thanks to Seth Isaacson for pointing this out to me. (2) The London Gazette, 10 September 1814. Information on the Egg family and the details about guns from a forum on doublegunshop.com. (3) The Annual Register, or A View of the History, Politics, and Literature, for the Year 1800 (1801), p. 338 “useful projects”. (4) The Times, 14 October 1814, 5 July 1816 and 18 November 1817. 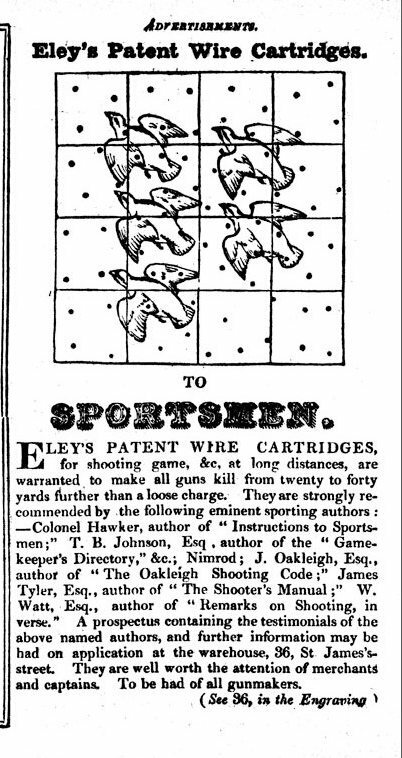 (5) Repertory of Patent Inventions and other Discoveries and Improvements in Arts, Manufactures, and Agriculture, volume 5 (1828), p. 319 “notice of expired patents”. 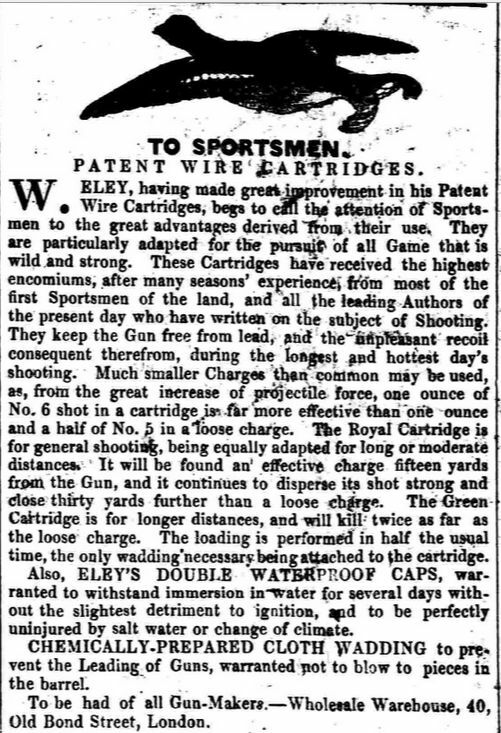 (6) The Times, 24 March 1827. (7) Charles 8 Oct 1809 (bapt. 8 Nov. 1809 St. Martin in the Fields), Henry 10 Nov 1810 (bapt. 1 May 1812 St. Martin’s), George Hine 3 Nov. 1814 (bapt. 2 Dec. 1814 Piccadilly St. James), Augustus Leopold born on 2 May 1816 (bapt. 29 May 1816 St. James’s). (8) His will is dated 11 May 1837. PROB/1878/58. (9) England & Wales, National Probate Calendar (Index of Wills and Administrations), 1867, p. 46-47. Probate granted to Sarah, his widow; effects valued as under £12,000. England & Wales, National Probate Calendar (Index of Wills and Administrations), 1869, p. 49. Probate granted to son Henry William; effects valued as under £7,000.